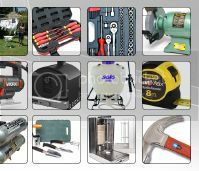 TradeToolSupplies accepts payment via PayPal , Cheques (please allow a few days for clearance, Postal Order, Any Credit/Debit Card (via Paypal) or direct Bank Transfer. At TradeToolSupplies we pride ourselves on making sure each and every customer is satisfied after the sale is complete. If there are any issues or problems please send us an email and we will do our best to resolve the issue. 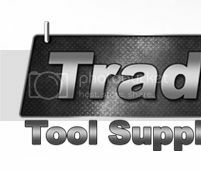 By purchasing from TRADETOOLSUPPLIES you are agreeing to our terms and conditions. TRADETOOLSUPPLIES adheres to all trading rules applied by eBay. Whilst all care is taken, any errors or omissions in the item details is purely unintentional. All pictures contained within this listing are for illustrative purposes only. Buyer will be responsible for paying for their own shipping costs for returning their item. Shipping costs are non-refundable. Warranty on power tools is 12 months. Warranty on batteries is 6 months.